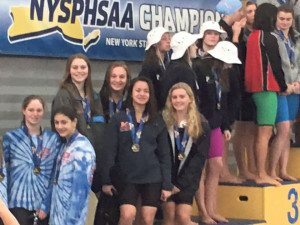 Manhasset swimmers Michaela DePhillips, Madeleine Kang, Garrity Kuester, Gaby McIntrye, Claire McNeary and Megan Smith traveled with Nassau’s State Team to Ithaca, NY, to compete in the NYS Championships, which were being held on Friday, Nov. 18, and Saturday, Nov. 19, at Ithaca College. At Friday’s preliminaries, Manhasset qualified one relay and four individual swims for Saturday’s Finals. The 200 Medley Relay team consisting of McNeary, McIntyre, Smith and Kuester improved their school record time to finish eighth and qualify for the top heat on Saturday. Senior Smith set another school record, finishing 10th in the Butterfly to qualify for Saturday’s top heat. Junior McNeary finished eighth in the 200IM to qualify for the top heat at the State Finals. In the backstroke, McNeary finished 13th to qualify for the consolation scoring heat at State Finals. 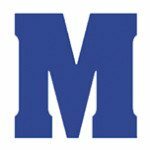 On Saturday, the Manhasset state team and Nassau County State Team were energized when MHS senior captain and state team captain Smith was selected, recognized and honored as the 2016 NYS Scholar Athlete. In the opening event, Manhasset’s Medley Relay dropped almost a full second to finish seventh and set a new school record time of 1:48.34. This is the highest place a Manhasset High School relay has finished at the state meet. In the meet’s third event, the 200 yard Individual Medley, McNeary finished sixth in NYS in a time of 2:05.32. 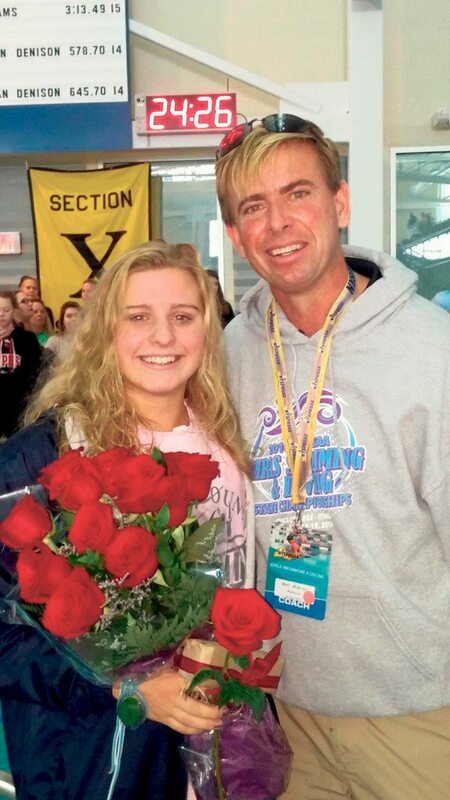 Smith continued her excellence by qualifying and finishing 10th in NYS in the 100 yard Butterfly. Her preliminary time of 57.84 set a new school record. In the 100 yard Backstroke, McNeary broke her own school record twice, at preliminaries, 57.55, and again at state finals, 56.12. Her time at finals was the third fastest in NYS, earning her All-American Consideration Honors. At the meet’s conclusion, the Manhasset team set another team record, scoring 73 points and finishing 15th overall (All Schools) in New York State. Congratulations to the girls on a remarkable season.